We’re looking for organisers with some experience and have set some guidelines to help everyone apply. We think it makes sense for community lovers fresh to WordCamp organising to start off via supporting their City WordCamps. Diversity is our key focus: We’d like to include as many countries in this team as possible. We’ve got a tweet going – so help us retweet please! We’ve also written up a draft announcement that meetup organisers can publish via Meetup’s email tool. Like any other WordCamp, we need to select a lead organiser who will fill out the application for WordCamp Asia. For those who missed it – we wrote a proposal for this effort and you can read about it here. Do you love contributing to WordPress? Do you love telling other people about how much you love contributing to WordPress? Would you like those people to start contributing to WordPress themselves? Then do I have the opportunity for you! 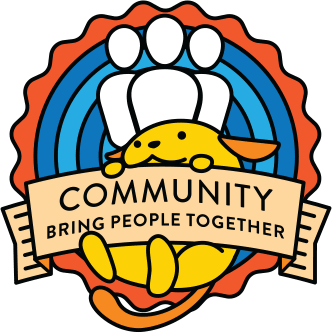 tl;dr: Sign up for one or more Community Volunteer shifts at the WCEU 2019 Get Involved table here: https://docs.google.com/spreadsheets/d/1PAts7eeSKYcBgI-NmLMWBj70_utBFjwq5uVXPTxieWE/edit?usp=sharing (note that there are 2 tabs in the sheet – one for each day). If you’ve been to WordCamp Europe or US before you’ll be familiar with the Get Involved table – it’s a central location (an actual physical table) where attendees can find out more information about contributing to WordPress. The table is staffed by community volunteers, and we aim to have it staffed by at least one person (but preferably more) from the start of registration to the end of the final session on each day of the WordCamp, not including Contributor Day. People working at the Get Involved table simply need to be able to explain how WordPress contributions work and help people find a good fit in the project for their particular set of skills. What we’re looking for here is for community members to sign up for volunteer shifts at the Get Involved tables for WordCamp Europe 2019 in Berlin. We have split up the two conference days up into 1-hour shifts to make things easier and it would be great to have a selection of people from across the project (not just the Community team) involved here. The schedule and sign-up sheet is here: https://docs.google.com/spreadsheets/d/1PAts7eeSKYcBgI-NmLMWBj70_utBFjwq5uVXPTxieWE/edit?usp=sharing – simply add your name to the white blocks in the “Community Volunteers” columns for any shifts that you would like to take. Note that there are 2 tabs in the sheet – one for each day. You can reference the event schedule to make sure you don’t miss any sessions that you particularly want to attend. The 2018 Annual Meetup Survey results for each chapter meetup group are being sent to organizers directly, but we’d also like to share some statistics about the program, as well as interesting findings from the survey with everyone! Overall most people are pleased with the meetup program, but there is a desire for more variety both in topics/difficulty and in the scheduled time of events. See the post of Organizer Best Practices for some tips that you can use in your community! Member location: 54% of respondents live in the city that their meetup group is hosted in. Only 3% of attendees travel far to attend a meetup event. Factors that affect the decision to attend events: 19% of attendees said the posted topic is the most important aspect. Whether an event has food/refreshments is important to only 1% of respondents. Days/times that would make it easier for members to attend: 24% of respondents said they prefer meetup events on weekdays, and 34% prefer evenings. Types of events: 16% of respondents prefer formal presentations with a speaker followed by Q&A, 15% of respondents prefer workshops or trainings, and 12% of respondents prefer discussion groups. Read on for more detailed results! Recently, in discussions with a few meetup organisers, I’ve discovered that it appears that Meetup Organiser Newsletter emails are not being sent to all persons assigned as meetup organisers. Myself and another co-organiser do not, and have never received these emails. This was brought to light when, in a separate discussion in a WordPress related Slack, another meetup organiser indicated he has also never received the meetup organiser newsletter. We put quite a bit of effort into the monthly newsletters and if folks are not receiving them, it could pose a problem. For example, if we use the newsletter to highlight discussions around guideline changes (eg the recent logos in slides guidelines, which was discussed in a previous post) and meetup organisers are not receiving these emails, they may feel left out of the decision making process. I’d like to propose a little investigation into this, perhaps by emailing a selection of recent meetup organisers via our HelpScout instance, and determining how wide spread this problem is. Once we can determine a) if there is a problem and b) where it lies, we can look into resolving it. I’m happy to move forward on this, if it is something the community agrees we should look into. I’m also open to suggestion as to the best way to achieve this. Our bi-monthly Community Team chat is happening this Thursday, 18 April 2019. Meeting times are detailed below. We use the same agenda for both meetings in order to include all time zones. @ErickaBarboza knocked out translating the entire doc template. Also, @kimberly.lipari got the art project/ice breaker documentation completed. So it is ready for editing! The goal is to spend about 12 months creating, documenting and polishing the documents and then creating a handbook on the https://make.wordpress.org/community/ site for all organizers to easily access. The question is from @sbrinley “Although we ask all our volunteers to abide by the general code-of-conduct, it seems like it would be good to have a code-of-conduct specifically for KidsCamp volunteers. A few policies/guidelines on how to interact properly with children and whatnot. On the one hand, I see the point of having a tighter code of conduct, but since WordCamps are to be family friendly events, every volunteer/speaker/session should all follow the same guidelines. On the legal side, I suppose that may differ by location and also based on if the parents will be attending with the kids in the same room. I agree… I will be working with the deputies to make sure we are good and don’t need something more specific. I feel like the overarching message in our current CoC is pretty solid, but it is not overly clear on some things like language. Please leave your thoughts in the comments for further discussion. We still need editors and researchers. If you know anyone who is good with hunting down legal research and making legal speak sound human or if you are good with editing documentation we could use your help. Please comment if you are available to edit and/or do some research. So I know a lot of people expressed interest but not everyone made it to todays meeting. I am sure more people will be getting involved over time. I did create a Trello Board so that we have some jumping off points for anyone to just dive in and start on micro pieces. @sunsand187 Will Document the recent WCMIA 2019 events into the new template. @chrischristoff is helping put a survey together. @sunsand187 is going to break the template up into smaller pieces. Next Meeting is Thursday, 25 April 2019, 2100 UTC/ 5pm EST. This chat will occur in the Make WordPress Community-Team Slack channel.